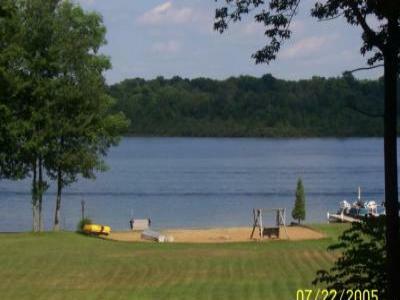 enjoy the private setting, overlooking the lake. beach. 14' row boat included. Kalamazoo, Saugatuck, Holland, 50-60- minutes to Muskegon. June, July & August = $1600 per week. Holiday weeks       = $1750  "    "
May & September     = $1300  "    "
October - April     = $1100  "    "